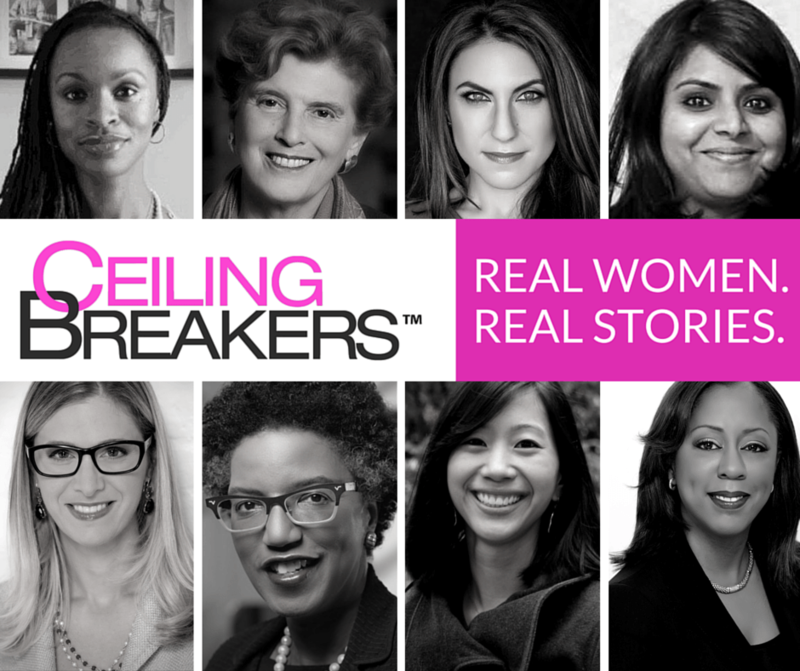 Looking for a role model who can answer all your questions about overcoming the challenges women and people of color face in corporate America? Michelle Gadsden has the inside scoop. With more than 25 years of experience in America’s elite business world, Gadsden knows the ins and outs of climbing the corporate ladder, making a global impact and combing entrepreneurship and leadership with a 9 to 5. She’s worked with numerous Fortune 500 companies around the world and has worked abroad in Switzerland. Esteemed outlets like Ebony magazine, The New York Times and The Wall Street Journal have recognized her work as a diversity strategist. 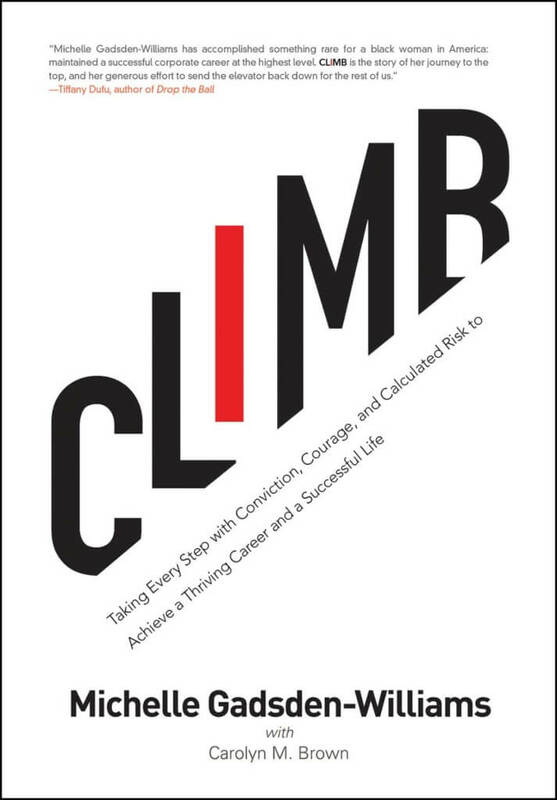 Now Gadsden reveals the inside details of her personal and professional journeys and a special look at her new book Climb. Learn insider tips on the corporate world and entrepreneurship in our Q&A with Michelle Gadsden. College Magazine: What inspired you to write Climb? Michelle Gadsden: I’ve always wanted to write a book. It was a matter of when, not if. In 2015, I took a hiatus from my executive position at Credit Suisse. I decided to just take a step back and figure out what it was I wanted to do for the next chapter of my life and my career. I’m incredibly passionate about helping women—particularly women of color—excel in corporate America and to ascend from wherever they’re standing in their career. My goal was to provide a playbook whereby I would provide tips and tools and techniques where women can address and dissect different obstacles and challenges in the workplace. But I also offer pragmatic solutions and steps to ensure that they are fully equipped to tackle the most pressing issues of the day. CM: How would you say taking a step back from corporate culture and starting your own company benefitted you in the long run? I sought the council of a few friends who have been down this road of entrepreneurship, I spoke to my mentors and sponsors, I spoke to my father who is a retired executive and got his council and then of course my husband. At the end of the day, it was the right thing to do at the time for me and I have no regrets about it. CM: What advice would you have for someone interested in doing the same sort of thing and what challenges should they be aware of possibly facing? MG: I would say you have to definitely weigh the pros and cons of your steady position wherever you are versus entrepreneurship. It is risky. But what I was doing was preparing for my exit ahead of the time that I exited. I think you have to just plan ahead, start doing some of the things that you want to do as an entrepreneur, even if it’s on the weekend or it’s on the side, just to get a taste for what that could look like later on. Seek wise council from other entrepreneurs. They’ll hold up the proverbial mirror of here’s the good, the bad and the ugly of being an entrepreneur. A lot of the folks who I spoke to were very positive about it, and I was too. Once I got into a rhythm and a pattern, it became second nature. Just be clear about what it is you want to do. Also, figure out what the differentiator is about you versus everyone else applying for the same position. What is that unique quality or experience you have that you can lean on and talk about in your interview process? That will take you very far, because it is too competitive out here for everyone to be the same. MG: How could a college student go about establishing a mentorship and what are the benefits of that? MG: How do you think the time you spent living and working abroad helped you develop personally or professionally? CM: I’d say it helped both. Again, I’m a risk taker. Give me the goggles, I’m going into the sandstorm. I knew from the time I was about eight or nine years old that I wanted to live abroad and work in a different country and acclimate to different customs or cultures… Once I graduated from college I made it my mission to say to my HR head or to my manager that these are my career goals, and here’s my aspirations and that includes a global assignment if that’s available. Luckily for me, I’ve worked for global companies that had other affiliates in other countries so I was able to orchestrate those steps for myself by just talking it up, making it known to anybody who would listen in terms of what my own aspirations were and then just putting the steps and a timeline in place to make it all happen. Going abroad was one of the best experiences of my entire career. I remember within 30 days our house was packed up and my husband retired from AT&T. We packed up the house and the dog and we were gone. The global experience gives you such an invaluable experience that you just can’t replicate, even if it’s for a short-term assignment. CM: What would you say are the main problems facing women in corporate America? MG: There’s a dearth of women in senior leadership roles and the pool is even smaller of women of color in those senior level positions… It can be somewhat isolating and it can be lonely at times if you’re one of a few. I think it requires courageous conversations, even if you’re the only person in the room. It requires you to build your own personal brand, whatever that looks like. It requires you to lift as you climb, so it’s not just you trying to get to the top. You have to bring others along with you and mentor some people and it’s really being clear and concise about what it is you want to do for the remainder of your career. I think that’s where a lot of folks get tripped up—they’re not clear about what it is they want to do. You only have so much time in your career to try things out. You can’t experiment for the first 10 or 15 years of your career, so try to get a sense of what it is you want to do, even in high school. CM: Do you think there’s improvement in women of color attaining executive roles getting less pushback? MG: I think it’s tough for women, period, because there’s still not many of us in senior level roles. We need to support each other more. Yes, we are our sister’s keeper and it is our indelible responsibility to make sure another woman thrives and survives in the workplace. I think it’s getting better, but progress happens over time, not overnight. There are a lot of Chief Diversity Officers that are looking for strategies to create the changes we want to see. CM: Tell me about your company Ceiling Breakers. MG: We specialize in human capital organization development practices. It was a consulting firm where we called on different corporate clients who wanted assistance or some expertise in moving their diversity practice to the next level. It’s basically doing what I’ve done in corporate America all these years but with multiple clients, not just one client. Some might want a strategy built from the ground up, some might want the development of a women’s leadership program. The needs varied, so I was able to flex different leadership muscles in different industries I’d never worked in before. Coupled with that, we also had an arm to our company that was around angel investing. My husband and I are very passionate about diversity in the place we work, but also in our personal lives. And we love the arts. We have wanted to see more women and people of color on stage on Broadway, so we’ve invested in Broadway shows to ensure that there are more women and people of color in the arts and represented. We invested in Romeo and Juliet, and that was the only Broadway show with a black Juliet and a white Romeo. We also have invested in Black Morpheus, which is a Brazilian musical that will hit Broadway next year. CM: Which of your accomplishments are you most proud of? MG: I was invited to Congress along with Melissa Harris-Perry and a host of other women of color to talk about the current state of Black women in the workplace. Sandra Bland’s mother was there, the founder of Black Girls Rock. Beverly Bond was there… It was a nice mixture of women from different backgrounds and industries to talk about the current state of women of color in the workplace. That was the precursor to the launch of the Congressional Caucus for black women and girls. Our testimony to Congress was one of the highlights of my career. It took place in the Library of Congress and there were hundreds of people in the room and it was on C-Span. It was like, “Wow, someone’s really asking for my opinion and expertise and point of view on the current state of diversity in the workplace.” That really meant a lot to me.